This LED cyclorama light adopts plate material shell made with beautiful shape, high efficiency and energy saving, durability, it is suitable for indoor use. 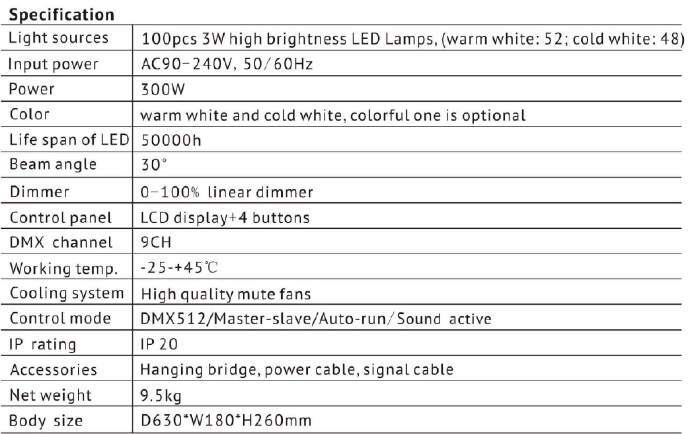 This product strictly according to CE standard design and production, complete with international standard DMX512 agreement, both single machine control, also can be controlled by connected with, suitable for large art performance, theatres, studio, discos and other places of use. It’s special designed for the stage curtain, wall wash and other using. It’s widely used for touring performance, construction, lighting, theater, discos, bars and other entertainment places.